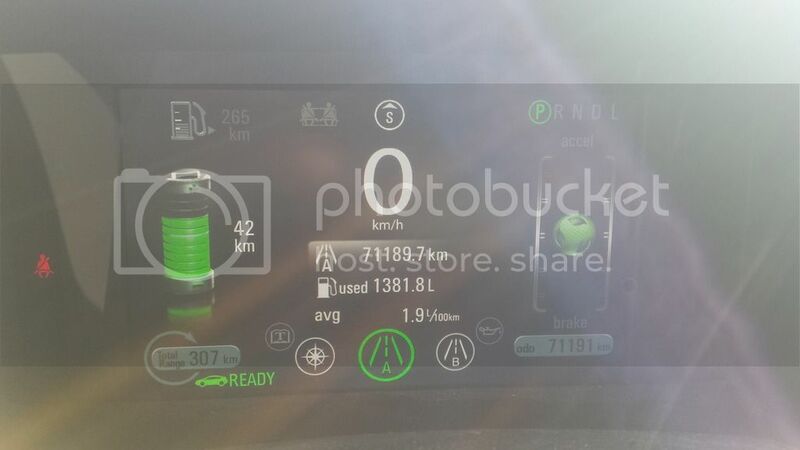 [ARCHIVED THREAD] - 1.9L per 100Km....just took it in..
2012 Volt just came in. Flipped through the DIC to how it was on gas. 123.797 Miles per US gallon. "Oh, you know me, Malc: Kid gloves, but made from real kids." So it takes almost two quarts (a half gallon) to drive 60 miles. Or better put, it gets 120 miles per gallon. How many bags of milk per loonie is that? But how many lb.watts did it also consume? What's your driving consist of? That is great, I want one. He said he's paying a bigger electric bill to make believe that his low gas bill is relevant. DK-Prof: "NO POOP THREADS seems like such a simple rule, yet here we are." Now, what was the Kwh/ 100 Km, and the average price per Kwh? It's not mine but most customers who have them claim their power bill runs them around $.80 per charge. Considering purchasing this one however I am working on picking up another car that I've been looking for for quite awhile. Gas miser or 12 cylinders of German engineering....Hmmm. Momma's C-Max is scoring right around 50 MPG right now. A Volt will blow the doors off that TDI in a drag race.